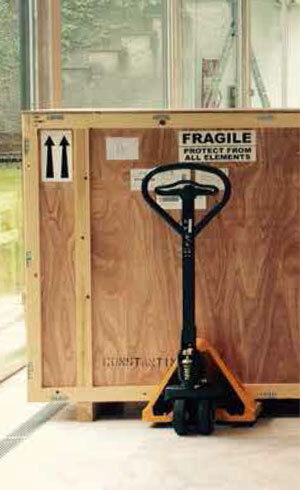 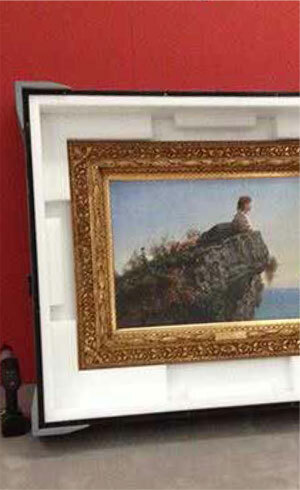 Every single crate is carefully realized for the artwork it has to contain during the transport. 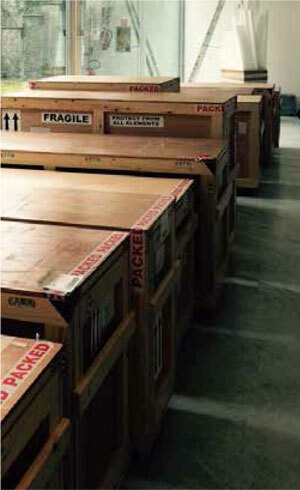 Our company can count on a specialized carpentry. 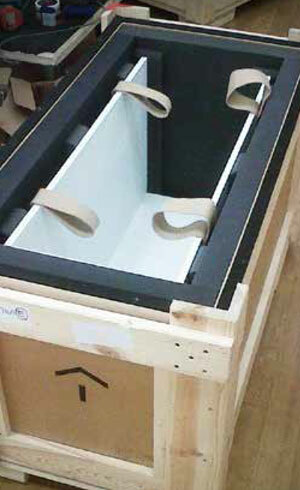 The crates we use are realized and tested according to advanced engineering projects, in waterproof plywood, assembled with steel screws and vinyl glue, lacquered with fireproof paint and covered with the best shock absorbent and isolating materials; they have steel security handles, anti vibration feet, antishock and anti-lift-off devices (shock watch). 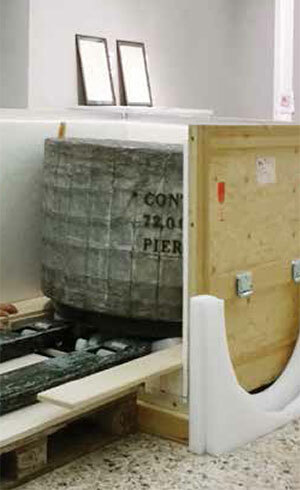 A particular attention is dedicated to the materials disposal and to the conservation, when necessary, of the crates in the deposit.